When you’re trying to haul around a group of rowdy kids, you’ll likely find yourself appreciating features like cabin space or technology that can make your trip more convenient. 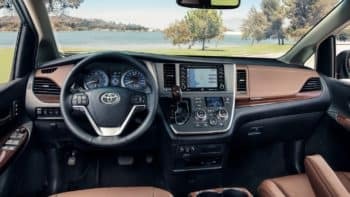 This 2018 Toyota Sienna review will detail these aspects, among others, so budding families around Avon, Indianapolis, and Plainfield can be sure that they’re getting a reliable, accommodating ride. Our team at Andy Mohr Toyota is here to answer any questions you may have about the Toyota Sienna. Simply contact us or stop by to chat about this exciting model. 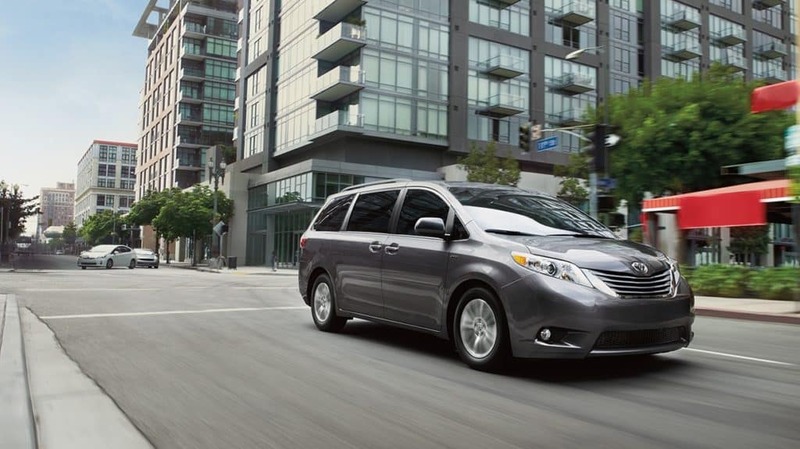 Accelerating uphill with a cabin full of passengers is no problem for the strong engine of the Toyota Sienna. It’s a 3.5-liter V6 that produces a hearty 296 horsepower and 263 lb-ft of torque. You’ll also be able to enjoy a smooth ride, as an 8-speed automatic transmission makes shifting between gears seamless. Additionally, all trims come with standard front-wheel drive and power-assisted front and rear disc brakes with Star Safety System™. The 2018 Toyota Sienna will not only fit up to 8 passengers, it will also help to keep them entertained, which makes driving a lot easier. 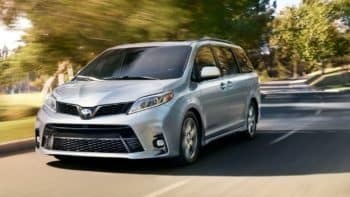 First, you’ll find that the cabin of the Sienna is versatile thanks to an available leather-trimmed removable second-row seat along with a stowable center seat. Also, an available Split and Stow 3rd Row™ seat is easy to adjust with its one-motion stow feature. You can easily utilize any of these options to create more cargo space. As for entertainment and convenience, an Entune™ Audio Plus with connected Navigation Scout® will serve as your connection to both music and a handy live navigation system. You’ll be able to access these features on a 7-inch touchscreen display that’s often praised for its user-friendly interface. Other helpful cabin features include five USB ports to keep all those devices charged and 10 cup holders to help avoid messy accidents. Safety is an enormous priority for the Toyota Sienna, so a multitude of technology features have been implemented to keep you protected. Among these features are Blind Spot Monitor and Rear Cross-Traffic Alert. Blind Spot Monitor comes in handy during all sorts of driving situations because, once you start changing lanes, you’ll be alerted of another vehicle sitting in your blind spot. And Rear Cross-Traffic Alert will warn you of incoming traffic at the rear of your Sienna if you happen to be backing out of a tight parking space. Another helpful feature is the standard Pre-Collision System with Pedestrian Detection Alert. It begins to beep if you get too close to the rear of the vehicle in front of you. It also beeps if it believes a forward collision of any kind is likely, whether it be with another vehicle or another type of object. The 2018 Toyota Sienna is a terrific minivan because it makes convenience and safety a high priority while also offering powerful, reliable performance. If you happen to be around Avon, Indianapolis, or Plainfield and you’re looking for a family-friendly ride, this model is a terrific choice. You can easily schedule a test drive, too. Just contact Andy Mohr Toyota and we’ll help you get behind the wheel of a Sienna today! ¹ 2018 EPA-estimated mileage. Actual mileage will vary.